Suporte - Location. Custo: 2. 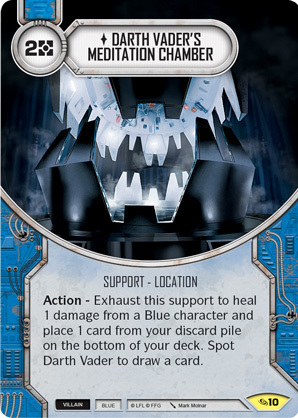 Action - Exhaust this support to heal 1 damage from a Blue character and place 1 card from your discard pile on the bottom of your deck. Then spot Darth Vader to draw a card.